This outfit may be from a few weeks ago (the weekend before we went on vaca?) 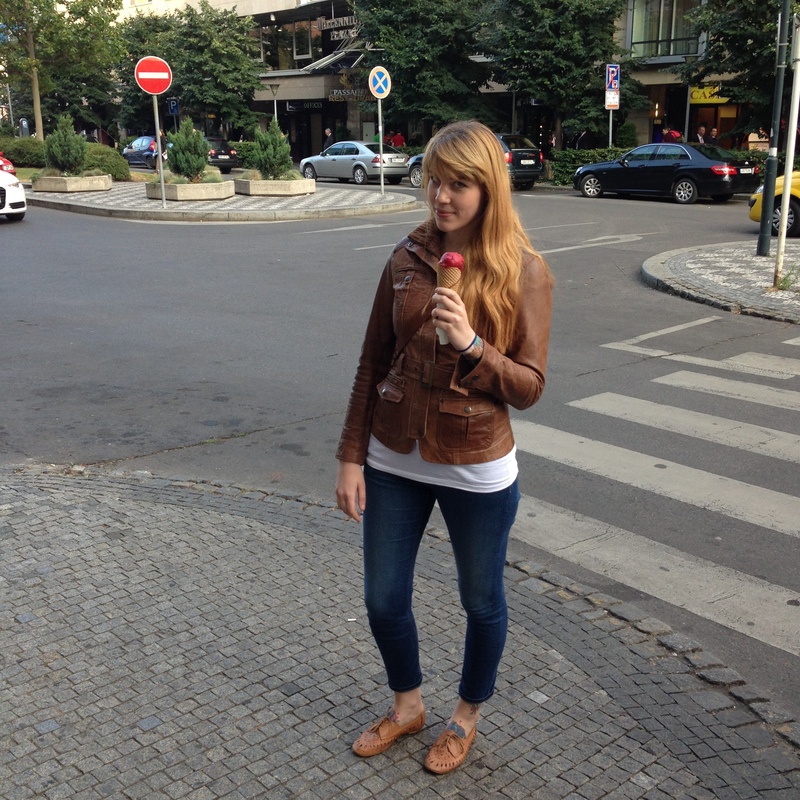 but it embodies my birthday/summer mentality: leather jacket, skinny jeans, comfy shoes, fruity ice-cream. I’m definitely embracing a bohemian vibe this summer. I want comfort and adventure. Care-free clothes that still make me feel confident and attractive. As much as I love pretty prom dresses and sky-high heels (and I do love them very much), summer tends to lead me in another direction. What was I wearing? (* I think this was the day of my exam when M and I went to have a celebratory dinner.) One of my favorite (and definitely the most comfortable) pair of skinny jeans (Zara), leather jacket (Stradivarius), saddle bag (Stradivarius), leather flats (Asos), white tee (H&M?) 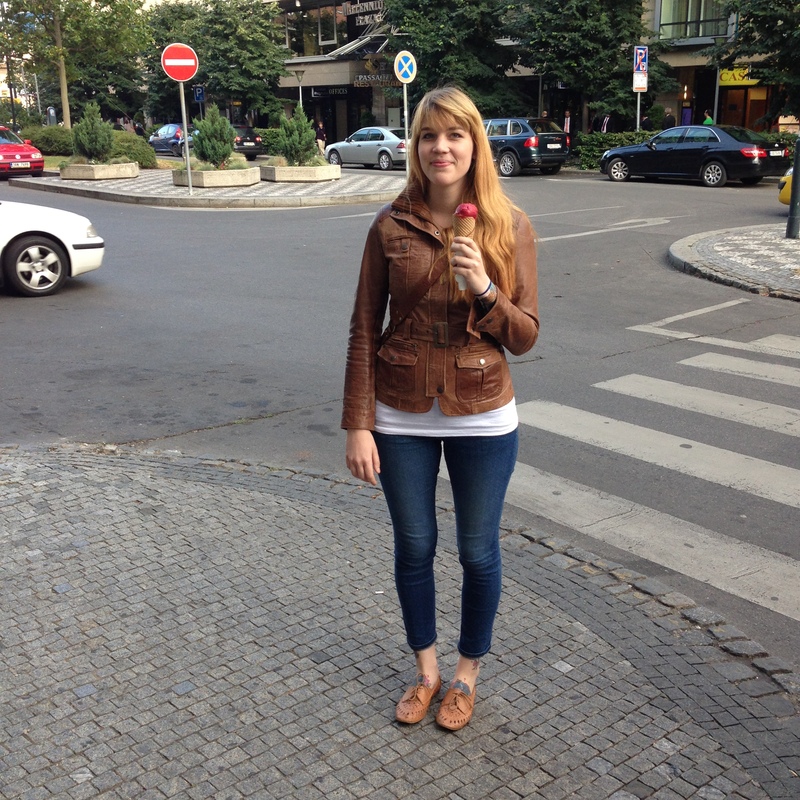 and really good strawberry ice cream (La Gare). 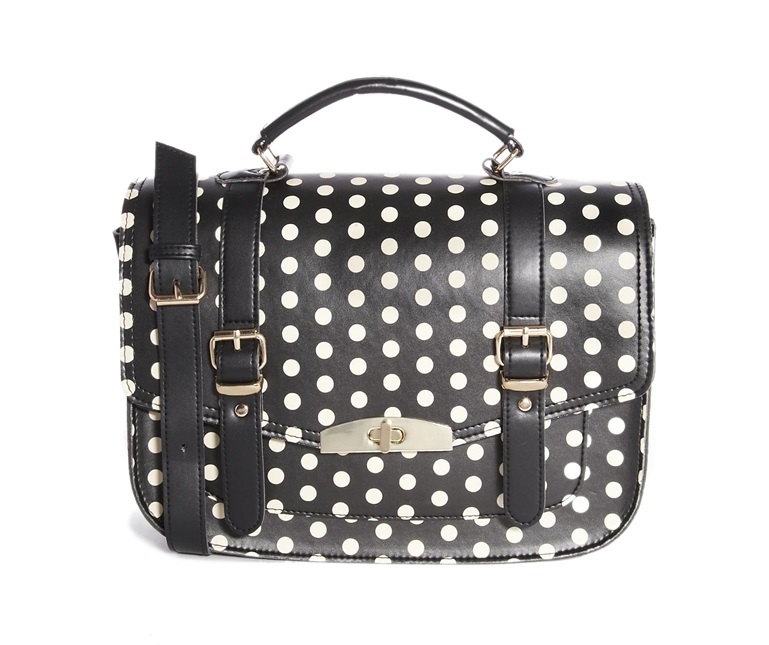 New Look polka dot satchel bag – I can’t wait for it to arrive. It’s so cute and cost only £9.50. I’m really into prints and patterns lately so I know I’ll get a lot of wear out of this bag. Asos Cocoon Parka – I don’t usually look forward to the colder months as I do NOT like cold weather at all. (The only place where it is supposed to snow is at the mountains, when you’re there skiing.) However, I do love coats and jackets. I’ve been meaning to buy a proper parka for ages and after buying the super cheap Primark parka during our vacation and falling in love with it (I’ve already worn it three times since we’ve been home), I decided to buy a winter parka as well. * Hopefully I’ll post about our London trip tomorrow (I still only have half of our photos as M hasn’t set me his yet). ASOS sneaky hauls have kept me going lately too. That wee bag is cute!